year ended January 28, 2017. Loss on extinguishment of debt in 2015. 2017 to shareholders of record at the close of business on March 8, 2017. Kohl’s ended the fiscal year with 1,154 Kohl’s stores in 49 states. approximately $160 million in the 53rd week. dollars in the 53rd week are expected to be approximately $25 million. replays are also accessible via the Company’s web site at http://corporate.kohls.com/investors/events-and-presentations. materially from those anticipated by the forward-looking statements. periodically be described in Kohl’s filings with the SEC. 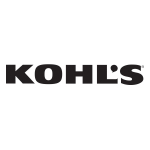 store locations or to shop online, visit Kohls.com.